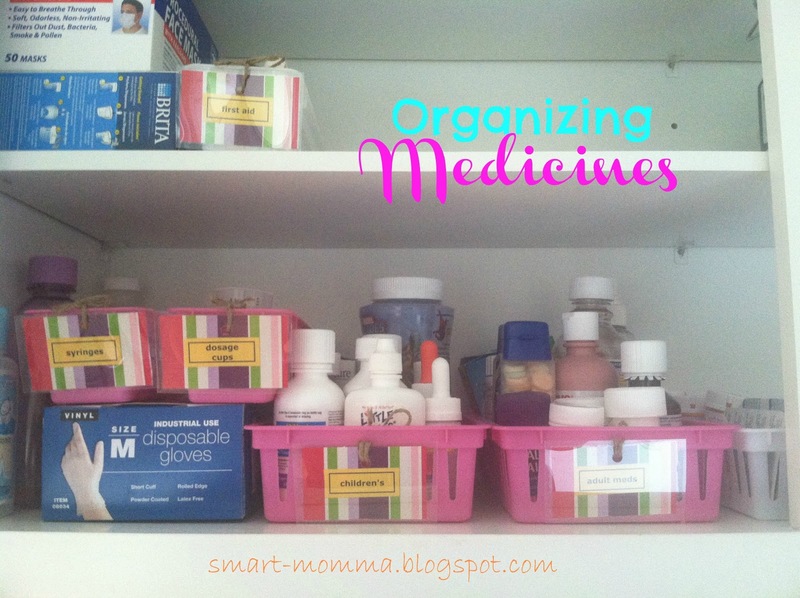 Our medicines are a little organized already, as you can see they are corraled in baskets. But there was something missing.....ah! labels! So I took all the medicines down and started categorizing them. and then laminated the labels. Punched hole the labels then I simply attached these to the basket by tying it with jute twine. Doesn't it feel great to be better organized!! I love the changes you made. Oh my goodness. You are the queen of organizing and making things look pretty. Great job!! !